* In order to maintain my professional status, I am required by my professional organisations (Psychotherapists and Counsellors Association of WA (PACAWA) and Psychotherapists and Counsellors Federation of Australia (PACFA)), to undergo a designated number of hours of professional supervision per year by a senior practitioner. In order to do this, generic case material may be shared, however no personal information is given out. The supervisors are bound by professional confidentiality, to the same degree as the practitioners. * In the course of therapy I may make brief notes after sessions. Together with any referral notes given to me by Doctors or other treatment specialists, this information is kept on your file, kept secured under lock and key. No other information about you will be collected unless given to me by yourself. This information is used to enable continuity and integrity of the therapy provided in the course of treatment. 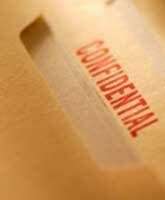 * Information from the file will only be disclosed if and when requested by yourself (for example, if you require a report to be written). The information will be discussed with you fully beforehand, and your permission obtained prior to disclosure. In extreme circumstances, professional practice standards may require that confidentiality is broken if you are judged to be a danger to yourself and/or others, however where possible this will be discussed first with you. It is also a legal requirement for disclosure of information by a professional practitioner where a subpoena is issued by a court of law. * It is my practice, at the conclusion of psychotherapy, to keep your file in storage for 3 years from the date of closure. After the 3 years have elapsed, the file will be destroyed. * You may request to see the file at any time, but this will be fully discussed with you before access is granted. You may also request a copy of the notes on file with 7 days' notice, and a photocopying fee will apply. If at any time you would like to discuss any of the above please feel free to contact me.